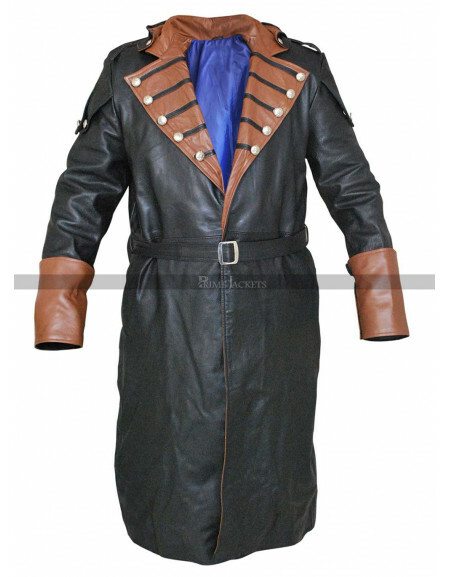 Prep up for your next cosplay! 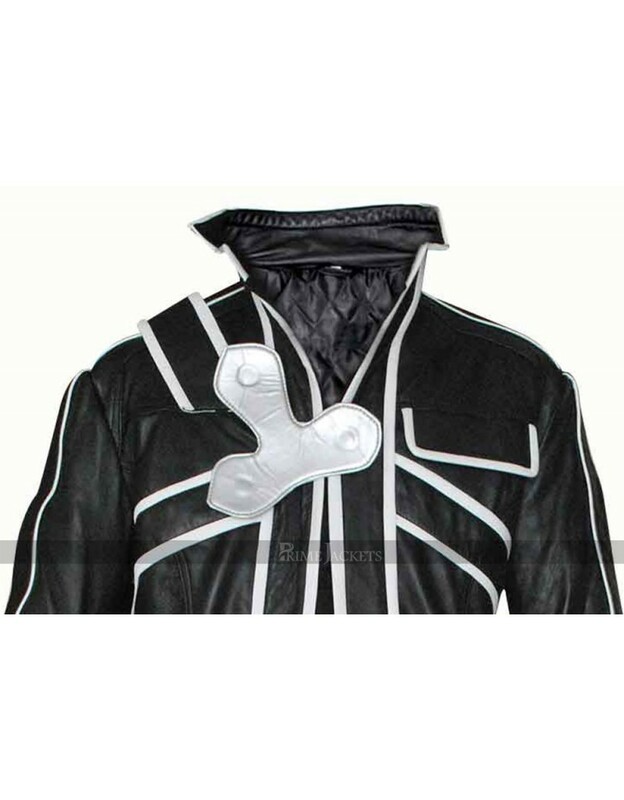 Get this meticulously designed costume from the Japanese light novel series Sword Art Online. 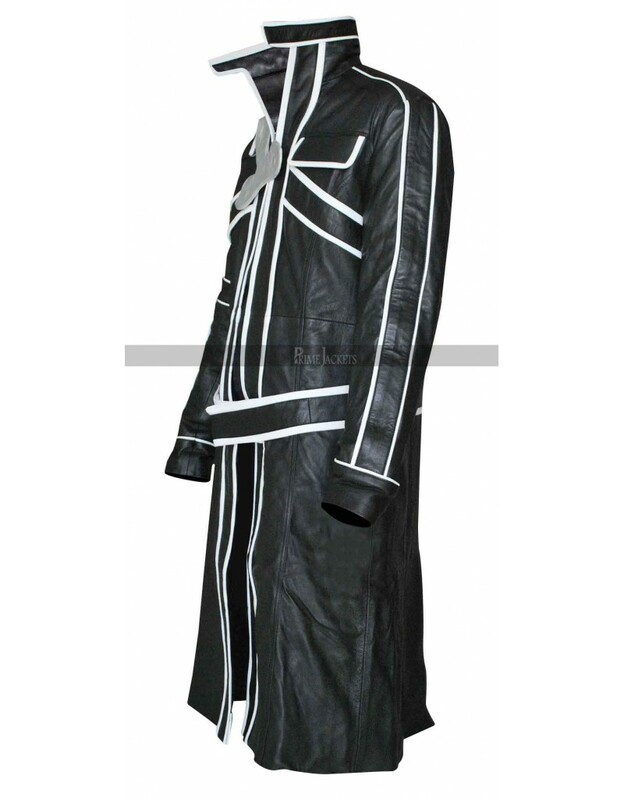 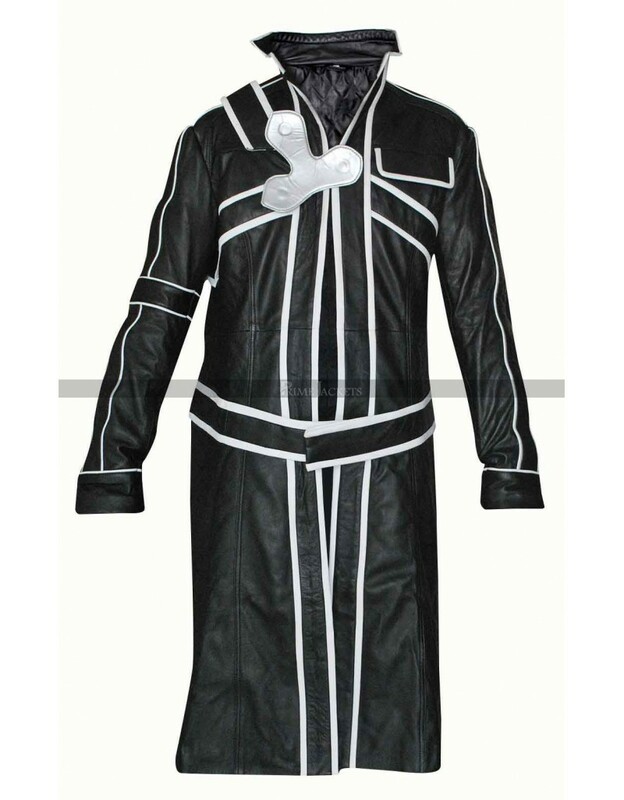 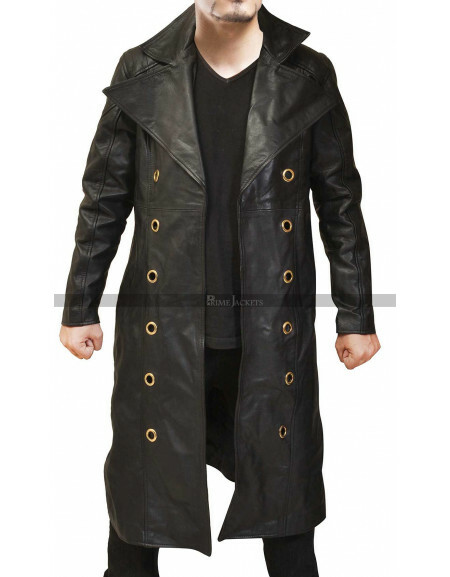 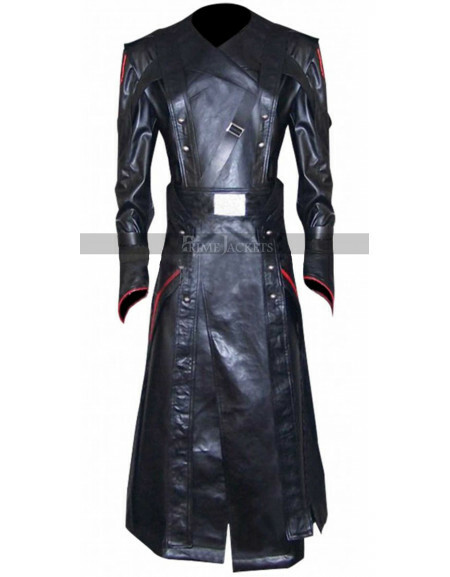 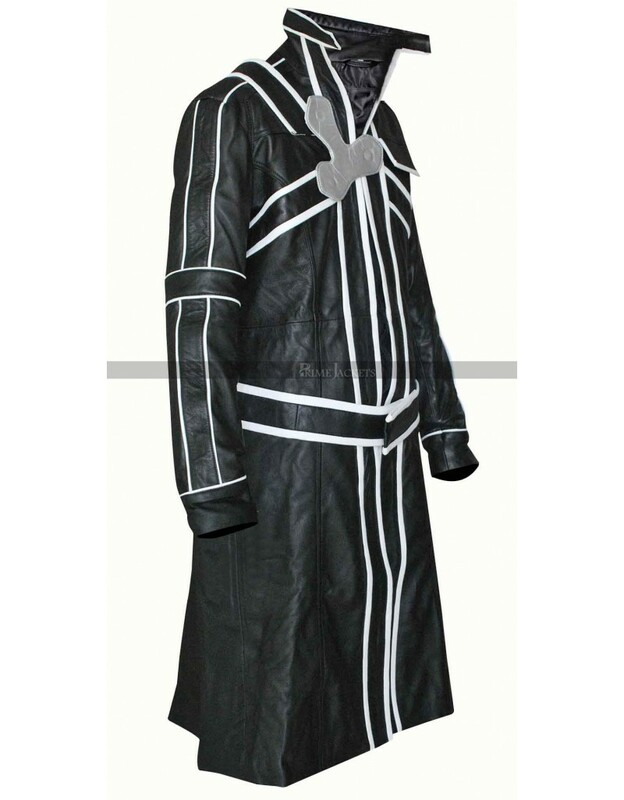 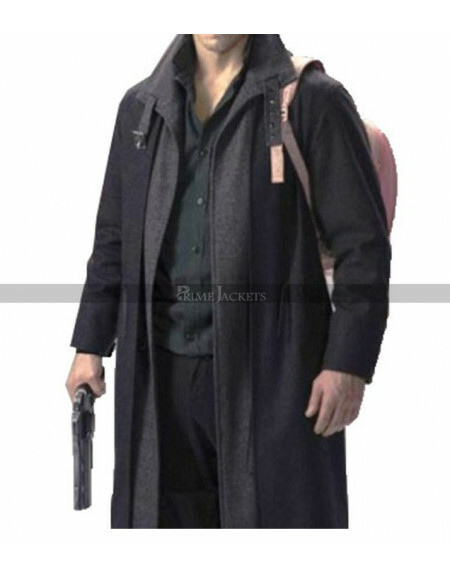 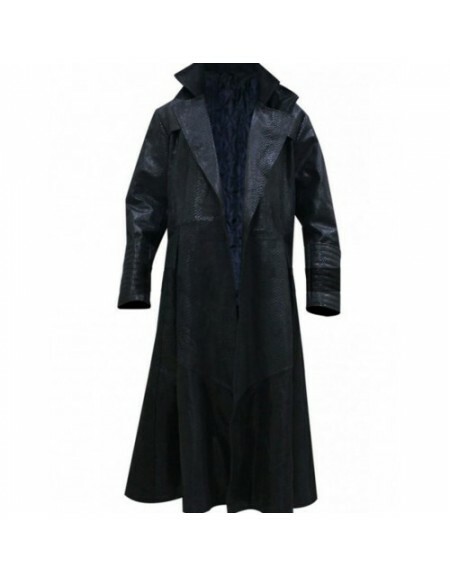 Worn by the protagonist character Kirito; this blackwyrm coat costume speaks class and grace to follow. 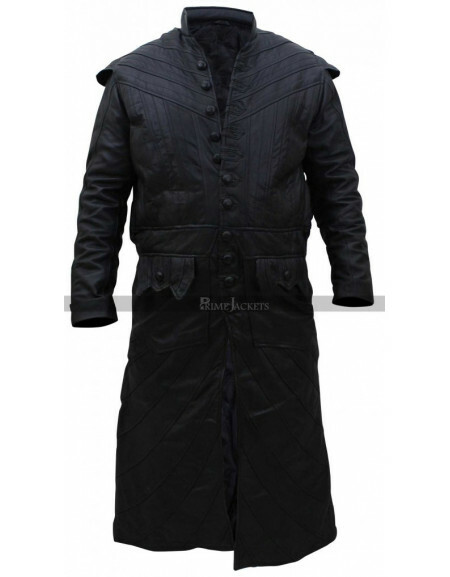 We bring an authentic replica made with the highest quality leather material in a dazzling black shade. 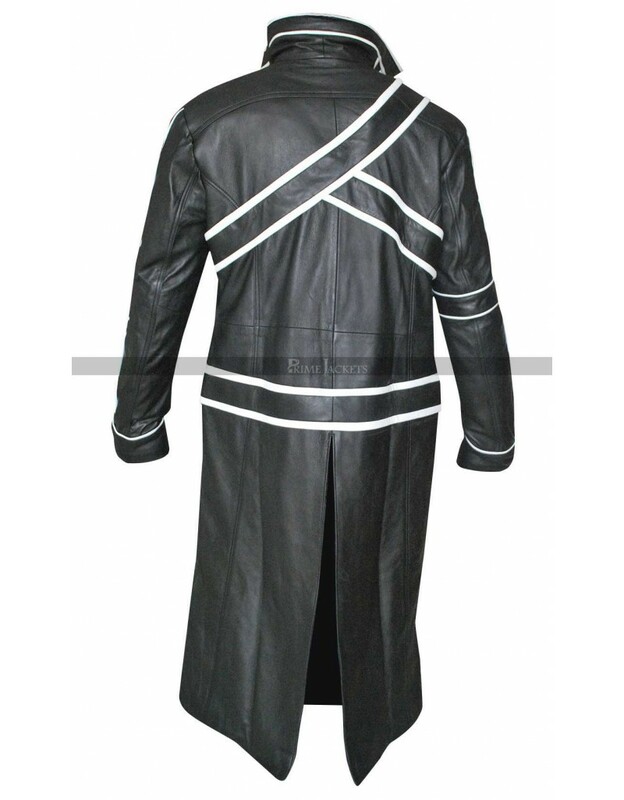 It carries an eye-catching white stripped pattern all over the front and back. 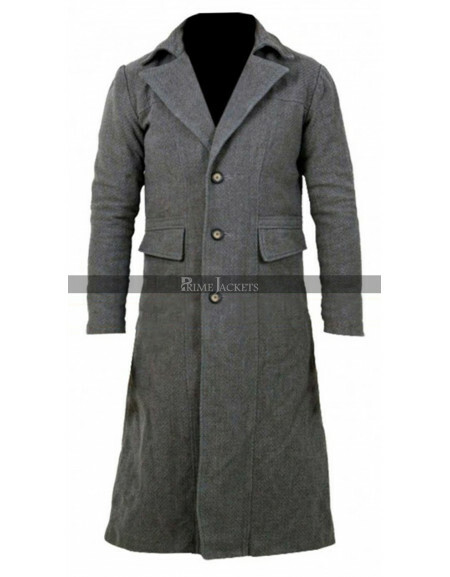 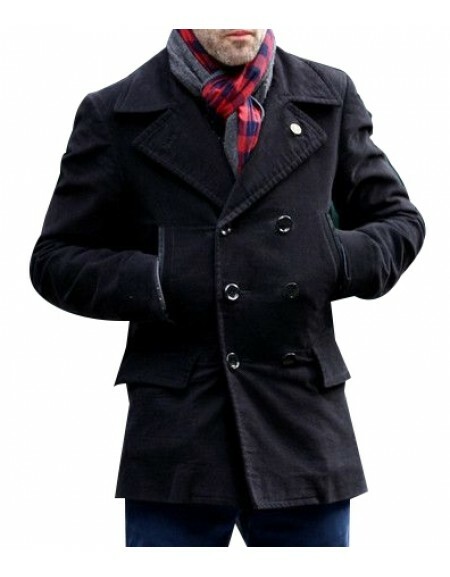 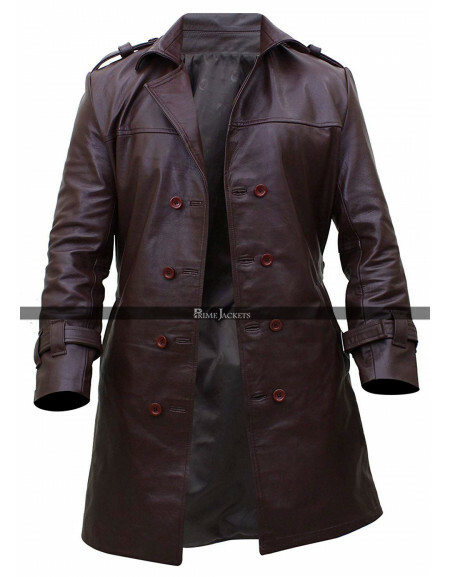 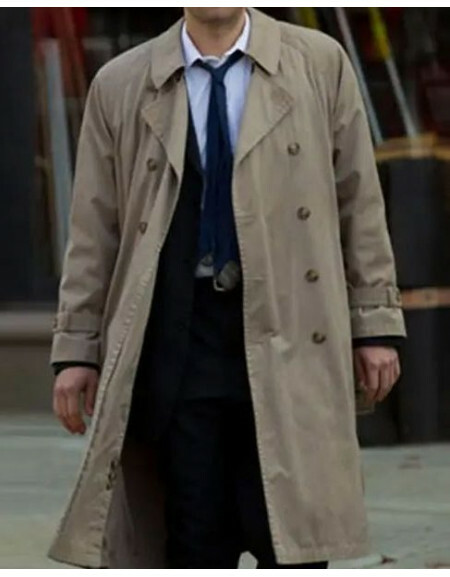 It features an erect collar, front belted closure at waist and full length sleeves with open hem cuffs. 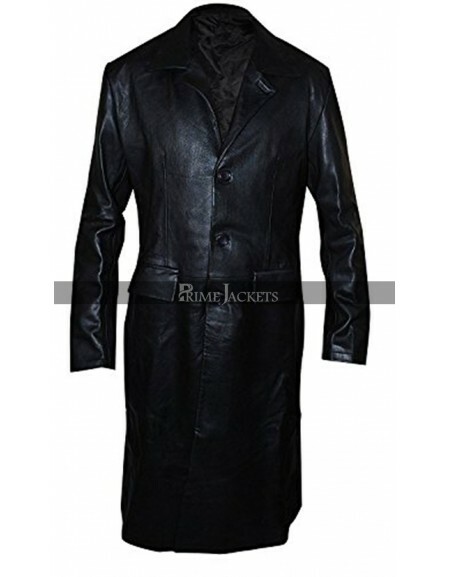 There is a vent cut at the center back that brings a vivid appearance to this classy outfit.